Famous Monsters of Filmland #137 in Fine Minus Condition. 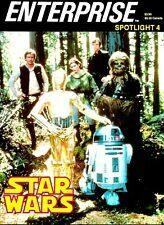 Cover depicts various Star Wars characters and creatures. 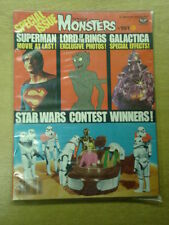 COMIC COLLECTOR MAGAZINE. Comic is in VFN condition. Available for collection from Chandlers Ford SO53, or Clanfield PO8. SCARCE ISSUE. (complete, but cover wear with small indentations. wear to edges, creases to cover spine, small piece. ). PLAGUE OF THE ZOMBIES. THE DEAD THAT WALK. Why not visit the bricks and mortar version of Glastopopcult? 'The Comic Store' in the heart of Glastonbury. Please see my about me page for info. 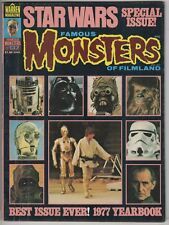 FAMOUS MONSTERS OF FILMLAND #176 EX CONDITION.